December 1, 2016. 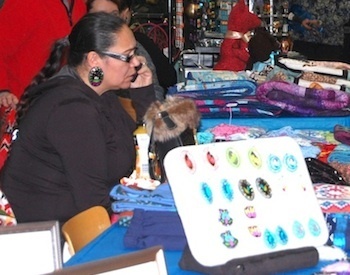 On Wednesday, Indigenous artisans gathered at Enterprise Square in downtown Edmonton to sell numerous crafts work and products including jewelry, beadwork, dreamcatchers, Inuit dolls, paintings, drawings, photography, tea, and bath and body. The fair was organized by the University of Alberta’s Faculty of Extension’s Metis Life Journey Skills Program.